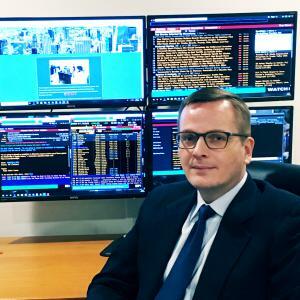 NEW YORK, NY, UNITED STATES, March 8, 2019 /EINPresswire.com/ -- U.S. based investment bank and broker-dealer Torino Capital LLC is proud to introduce Robert Kaniuk as the new Head Trader. Mr. Kaniuk has a broad experience in investment and trading, as well as rebuilding business units. Before joining Torino, he was Executive Director of Emerging Credit Trading at Morgan Stanley. “This new addition to our team is in line with Torino Capital’s decision to broaden the scope of its emerging market coverage by incorporating valuable and experienced professionals, who can bring fresh insights to our trading desk,” said Victor Serra, CEO and Chairman of Torino Capital LLC. Mr. Kaniuk has over 25 years of experience handling commodities, derivatives, equities, F/X fixed income and structured products. His career path includes eight years as executive director of trading in Morgan Stanley and six years as head trader for UBS AG. He has devoted the last fifteen years of his career to emerging markets and managing trading teams while providing support in international wealth management, where he’s also widely experienced. “I believe Torino Capital is a good fit for me, especially because they are in the middle of an expansion and diversification process, which always presents great opportunities to provide new and innovative ideas. The firm has an excellent crew, and I’m proud to have become a part of it,” Kaniuk stated.